Have you noticed more promotional mailers in your mailbox lately? More and more successful businesses are realizing that the direct mail campaign is still the most effective way of communicating their message to the consumer. As the popularity of email and social media marketing grew in last decade, the use of direct mail declined rapidly. Direct mail was considered out of fashion and a thing of the past. It was considered too expensive, time consuming and less effective than online marketing. Today, things are changing! 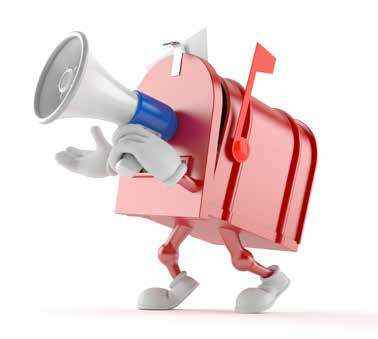 Marketing research shows direct mail is an integral part of all successful marketing campaigns. The research shows that direct mail spending reached nearly $45 billion in 2013 and 65% of consumers of all ages have made a purchase as a result of direct mail, according to the Direct Mail Association (DMA). Also, in 2012 the average response rate for direct mail was 4.4% for both businessto- business and business to consumer mailings—considerably higher than industry expectations, and surging past electronic mail’s response rate of just 0.12%. Direct mail is tangible material which will stay with the target audience much longer than any forms of online advertising. The cost per lead generated is less, and the advertiser has a greater control over choosing its market and uniqueness of its mailer. You can include samples, scents, and target any age group; with or without owning a computer or access to an email.